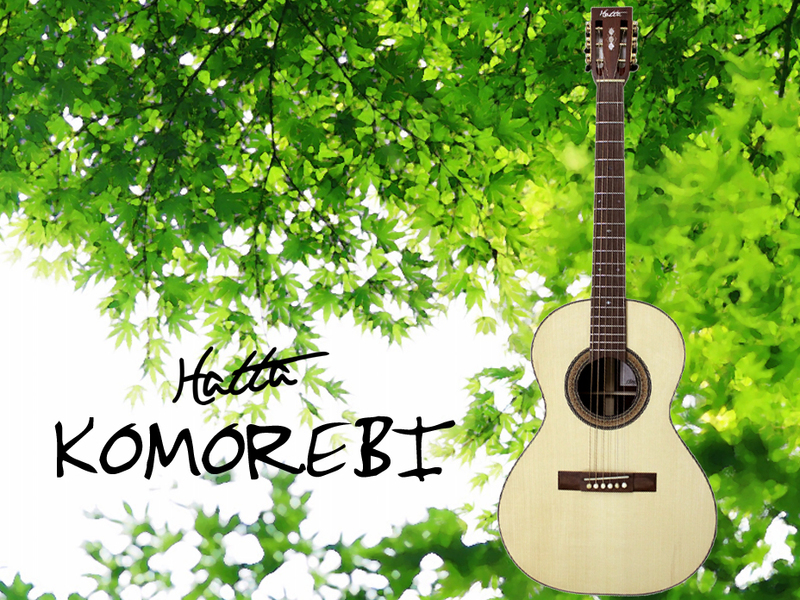 It resonates with the forest "KOMOREBI"
Near Hatta works has spread the rich forest.Joy of playing the guitar in the forest, and the joy of playing the guitar in front of 10,000 spectators, should become something different. 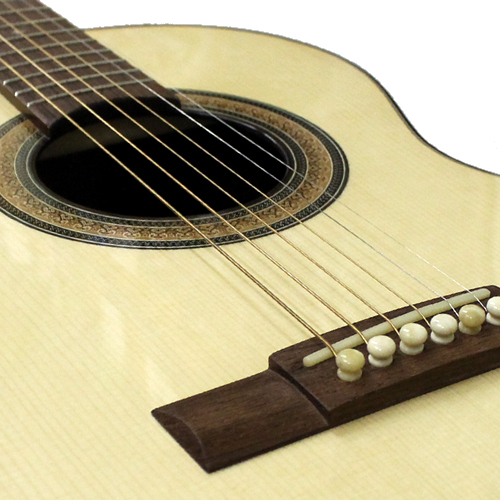 KOMOREBI is a design, such as the classical guitar.But it is the acoustic guitar for steel strings. It will be suitable to play the style of any genre. 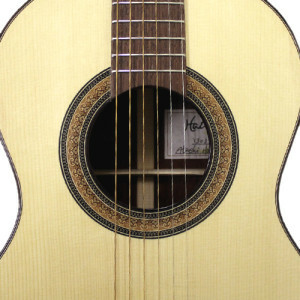 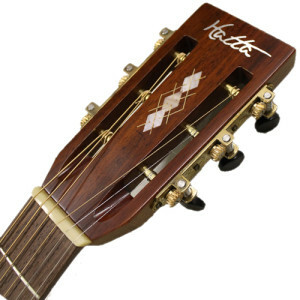 Size is classical guitar size, it is also recommended to be easy women carry. Gently, and strong, it is the work of Atsushi Hatta.